Hyundai Motor Group is developing technology in three areas of robotics: wearable robots, service robots, and micro-mobility. Hyundai Motor Group is developing technology in three areas of robotics: wearable robots, service robots, and micro-mobility. The company is also working in partnership with other domestic and international companies that possess robotic and artificial intelligence technology. The first H-CEX was developed for industrial use. It is a knee-joint protective device that helps maintain a worker's sitting position. Weighing in at 1.6kg it is light yet highly durable, and can withstand weights of up to 150kg. With waist, thigh and knee belts it can be easily fitted and adjusted to the user's height. 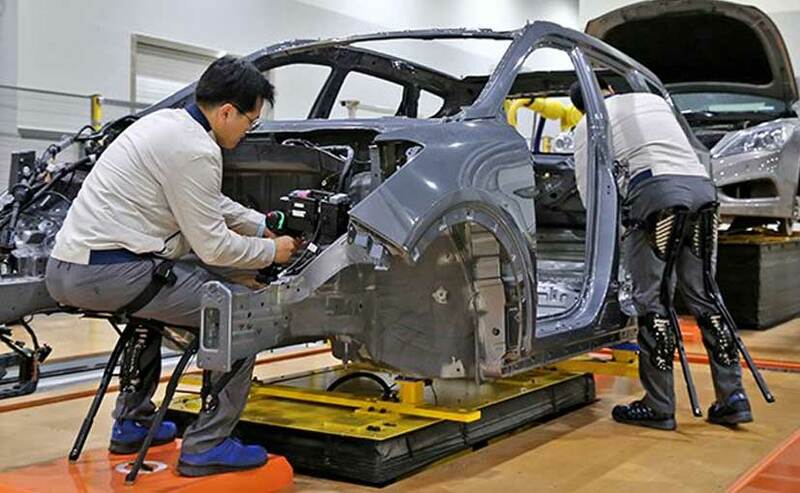 Along with the H-CEX, the Hyundai Motor Group team plan to test and apply the H-VEX in its North American factories at the end of the year. H-VEX is a device that alleviates pressure on workers' neck and back by adding 60kg of strength to the user when their arms are used overhead. It is expected to be very effective at preventing injury and increasing work efficiency. Dr. Youngcho Chi, Executive Vice President of Strategy & Technology Division and Chief Innovation Officer of Hyundai Motor Group said, "The field of robotics has the potential to usher in a new era in our industry. The possibilities for the technology are endless - from future mobility solutions and industrial productivity aids to vital military applications, we think the future is better with robots. The huge collective experience within the Hyundai Motor Group will facilitate rapid progress in the coming years. We are excited about current developments, and very optimistic for the use of this technology to improve lives around the globe." 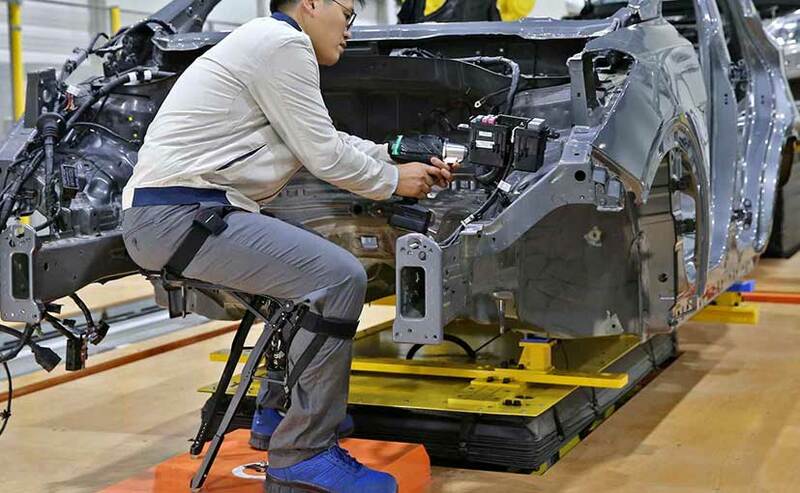 Another development in robotics is the Hyundai Universal Medical Assist, which can be applied to the waist and legs to strengthen the muscles while walking, enabling users to achieve a running speed of 12 kmph and making it one of the fastest wearable robots in the world. The 'Sales Service Robot' that was modelled last year can explain car details to customers. It is equipped a with natural language conversation system, artificial intelligence, and a mobility function, providing the ability to consult with customers about vehicle models in showrooms. It is currently in the design and development stage, and a prototype is expected to be available early next year. A prototype 'electric vehicle charge manipulator' that automatically charges an electric vehicle when it stops in front of the device, will also be previewed by 2020.